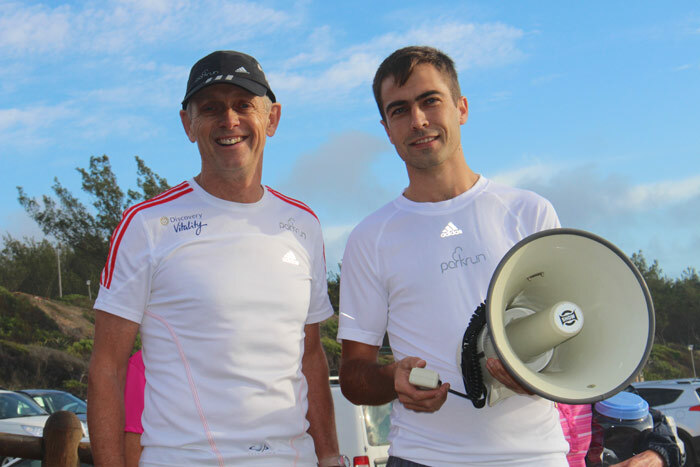 In this edition of the SA parkrun newsletter, we hear a little more about the Mogol parkrun. 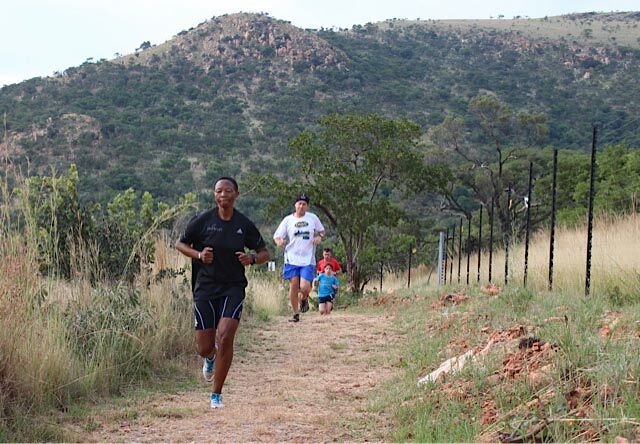 Make your way to Kimberley for the launch of a new parkrun event this weekend! Keep an eye out for the parkrun coffee table book - the signing takes place this week and it features images from some of our local parkruns! I am writing this in Johannesburg’s OR Tambo airport while waiting for my flight to London to attend the official book signing of the special edition parkrun coffee table photo book. This should be exciting for a few reasons. First of all the book itself looks very absorbing and is full of beautiful photographs of beautiful parkruns. ( I am delighted to report that there are a number of South African parkrun photos in the book.) The signing also gives me the opportunity to meet some of my sporting heroes. I know that former European, Commonwealth and Boston marathon champion Ron Hill will be present as will multiple Iron Man champion Chrissie Wellington. Dave Moorcroft is also signing books and for those of us who are proud of our 5km. Pb’s it is worth considering that Dave’s is a fraction over 13 minutes dead. On Thursday morning a few of us will be running a London parkrun freedom run so It should be an exciting few days. The South African parkrun population reached the amazing figure of 200000 registrations last week as we launched our 50th parkrun at Hartenbos just outside Mossel Bay. Werner Morkel-Brink and his team have devised a really interesting and challenging route on the footpaths alongside the beachfront. We were surprised when over 300 eager parkrunners and parkrun tourists arrived at the start line on Saturday morning. 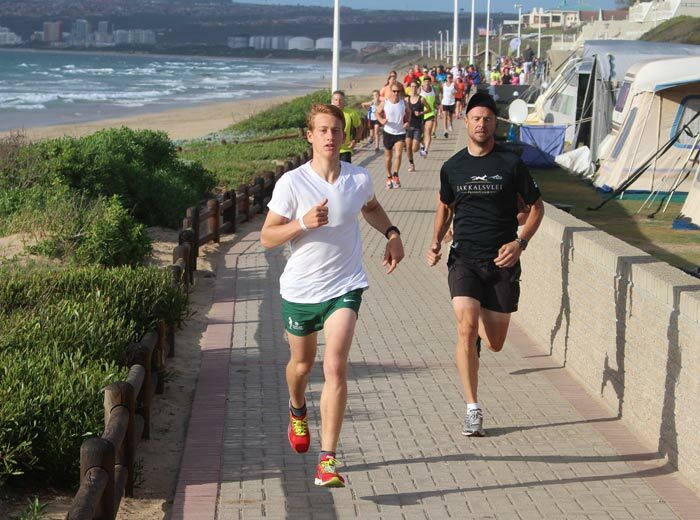 We have no doubt that Hartenbos parkrun will prove to very popular. This Saturday Karien Potgieter will launch Kimberley parkrun in the Rooifontein Game Reserve 3 kilometres outside Kimberley. Kimberley residents started demanding their own parkrun shortly after the Naval Hill parkrun was launched in Bloemfontein and this should also prove to be a very popular parkrun. We all know that volunteers are the lifeblood of all parkruns and there are dozens of selfless parkrun volunteers in South Africa but we would like to pay particular tribute to those of our volunteers with disabilities. Don Oliver at Big Bay is one who comes to mind. He and his wheelchair are regulars at the Bloubergstrand parkrun. Now Lizelle Viljoen from George parkrun has joined this admirable group. She has had to undergo major surgery on an ongoing basis and walks on crutches and uses a wheelchair to attend George parkrun. 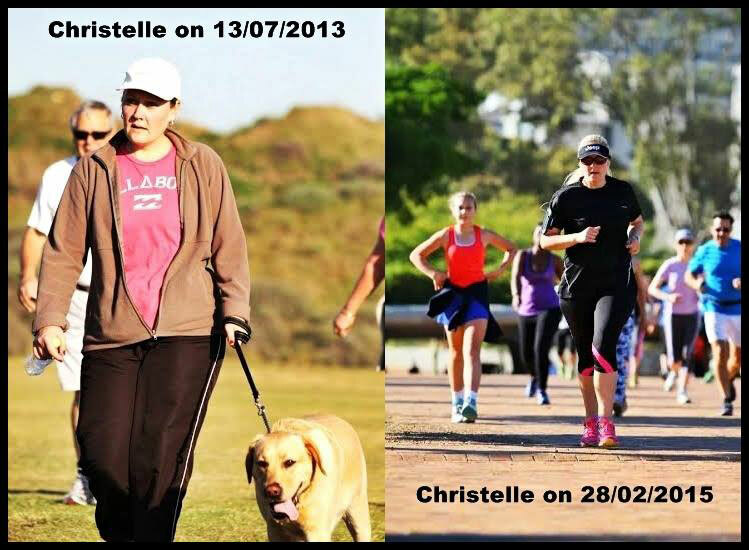 Our photograph shows the very admirable Charmaine Garton from Knysna parkrun. 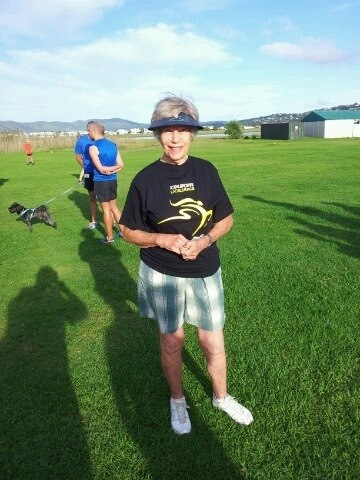 Charmaine who is 85 has only missed one parkrun at Knysna and has even participated in pouring rain. The March edition of our Media Partner, Modern Athlete Magazine is available online now! Subscribe to Modern Athlete here. Join Team Vitality during the month of March and get a FREE Neon Run ticket! If you haven’t already experienced the colourful phenomenon that is a Neon Run, now is the time! These night fun runs involve running, walking, cycling, or skating a 5km route and are a great way to combine fun and fitness for the whole family: wearing bright, fluorescent clothing, neon paint, and glow-in-the-dark accessories. Go to www.discovery.co.za for more information. The adidas technical experts will be running an exciting competition during the month of March. Wear your boost running shoes to parkrun, write your running motivation on the adidas shoefie mat, , take a photo and upload it to Twitter tagging @adidasZA, and #boostyourrun. You’ll automatically be entered into the competition to stand a chance to win an adidas running hamper valued at R2000 or an adidas miCoach SMART RUN device valued at R4999. Look out for the shoefie mats at the end of the race at the adidas technical stand. To date, Mogol pakrun is the only parkrun in the Limpopo province. Situated in the beautiful Bushveld town of Lephalale (previously known as Ellisras) the Mogol Club is host to the Mogol parkrun. 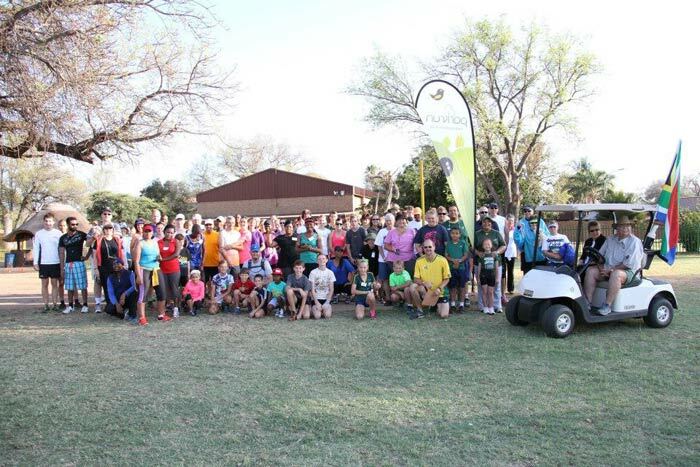 Our parkrun start on the rugby fields at the club and winds through our beautiful golf course with the massive Maroela, Vaalbos and Camel thorn trees shading the route. Our parkrun is a nice fast and flat course. We are one of the parkrun’s in South Africa that start at 07:00 in the morning due to the very high temperatures we can experience in summer. In winter it can be very chilly in the mornings as well. I can quote Gill Fordyce in saying that at our inaugural run on 14 June 2014 her hands was the coldest they have ever been and she even borrowed gloves from a young girl to try to warm them up a bit. To date we had 698 runners that completed our parkrun at least once and we average about 100 runners every Saturday. During March we also reached the milestone of 1000 registered Mogol parkrunners. Two of our male runners regularly run under 17 minutes and our current course record stands at 16:26. Hope that you will join us when you are in the area! I thought you might like to know the following story. After completing the parkrun this morning, I got to my car only to find the battery completely dead. Within seconds a number of men and women participants offered to help me. We discovered my jump-leads had disappeared from my boot (probably at the car wash I used recently!) and one of the ladies offered to go and fetch her jump-leads for us to use instead. Her lovely young daughter actually ran ahead to fetch them and bring them back to my helpers but as we needed the car too, we waited for the mom to arrive. Within a few minutes the car was started and I could be on my way. I am immensely grateful for all the kindness shown by these parkrunners this morning. What a wonderful sense of camaraderie! I'm rapidly heading for that red T-shirt, with three runs to go. My enthusiasm somehow rubbed off on my mother, who lives in Knysna. I'm in Durban. A few weeks ago she called me to ask how to register for a parkrun because one had started up in Knysna. I was a bit wide-eyed, but explained about how to go online and do that. Later she called again to tell me she was registered and was just waiting for her barcode. I was more wide-eyed. Later still, she called to tell me she had the bar code, all printed out, and was going off to participate in the Knysna parkrun. I think it was only the second or third time it had been held. Well, she did it, walking briskly, in 54 minutes, despite getting caught in a downpour halfway round. And she did it again last Saturday. I'm very proud of her. By the way, she's 85 years old! 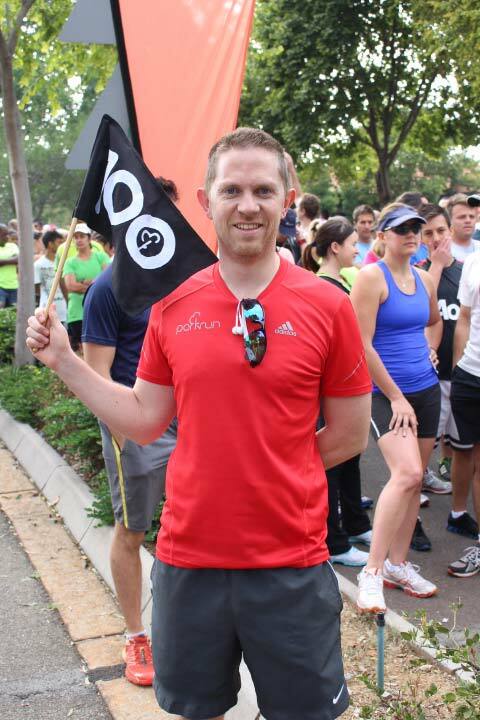 In this week’s edition of the SA parkrun newsletter, we are sad to announce the loss of one of our most enthusiastic parkrunners. Registration numbers are reaching the 200000 mark and parkrun is changing lives for the better! Finally, a parkrunner shares his Singapore conference week with us. 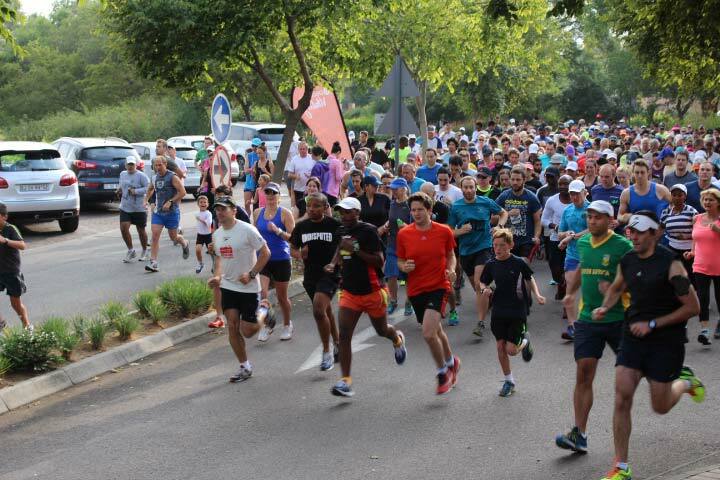 There can’t be too many parkruns which run first through a school campus and then out into rugged bushveld but that is exactly what runners are treated to in the first kilometre of the Lebone parkrun. Two Saturdays ago runners gathered on the sports fields of the Lebone College in Rustenburg to launch the first Lebone parkrun. Runners headed off under the school amphitheatre and then up bush lined paths on a kloof overlooking the whole campus. Sean Lindsay and Beth Burrell have designed a course that happy parkrunners described as tough but fun. 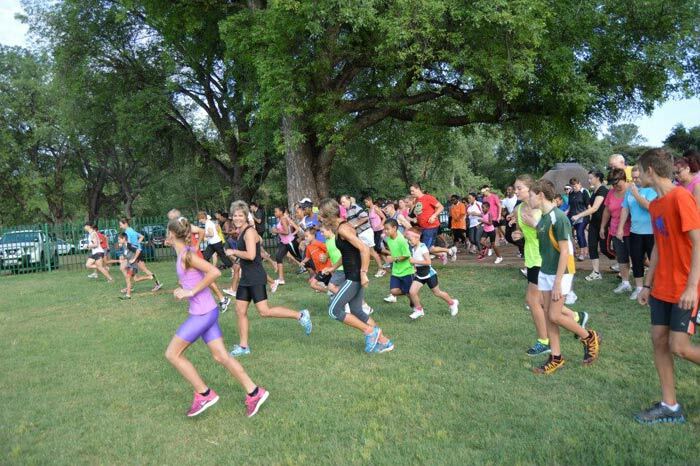 We have no doubt that Lebone parkrun will prove to be very popular with the Greater Rustenburg community. On the 14th March parkrun South Africa will celebrate its half century when Hartenbos parkrun near Mossel Bay becomes the 50th South African parkrun. Coincidentally at almost the same time parkrun South Africa will have reached the very significant milestone of 200000 registered parkrunners. This is a very exciting statistic when we consider that only 3 ½ years ago there was only one parkrun in South Africa with 26 registrations. parkrun continues to make a positive impact all over the country as these letters confirm. Deep in Africa, alongside the Thukela River, which forms the natural border between the Amazizi (Cannibals) community and the majestic Royal Natal National Park, the Cannibals Cave parkrun is a cultural melting pot. Mixing international and local tourists with members of the local community, this parkrun gives tourists a unique opportunity to experience rural life first hand and locals get to learn about the world outside their beautiful valley. We are delighted that parkrun is also proving to be such a powerful force for social development. It was with great sadness that we had to report that Cannibals lost one of its most talented and enthusiastic parkrunners in a tragic accident a couple of weeks ago. 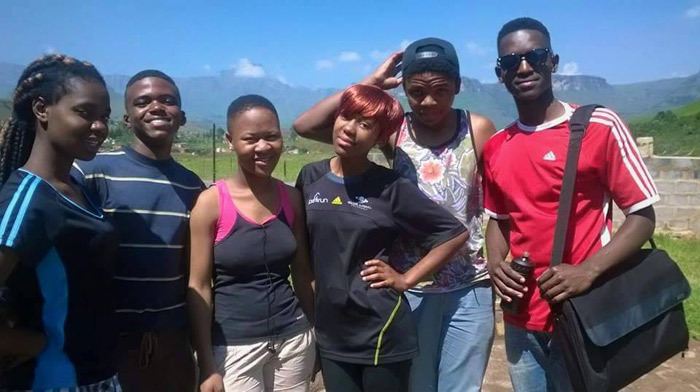 Young Siboniso Makhaza had been first finisher at Cannibals Cave parkrun for 3 Saturdays in a row and was out training in the foothills of the Drakensberg mountains when he was struck by lightning and killed. Support and sympathy came from parkruns all over South Africa and at many parkruns the event directors asked for a few moments silence before the parkruns started. Our deepest sympathy goes to Siboniso's family and to the whole Cannibal's Cave community. So, I'm packing to leave for Singapore, rushing around because I left stuff at the office, which takes a good hour out of my schedule between dropping the kids off at school, and my airport transfer. In between, I get an email: help - we need volunteers at the Lonehill parkrun this Saturday. No can do, I type back quickly, whilst stuffing my running gear into the bag, I'm in Singapore. Hey - comes back the reply - There's a parkrun in Singapore! Send us details. My spirits lift as I make sure my barcode is in my gear. Phew - a breather on the plane - great I think - one more notch on the belt. Lets see, this will be the third country I've parkrun in, my 10th parkrun location, and my 55th parkrun. In Singapore I browse the Australian website, get the East Coast Park parkrun details. I note that it's not located near an MTR station. Google maps puts the commute as a 2.5 hour walk, a 15minute taxi ride, or tells me about buses. Hey - I've got my hydration pack - let me run there. I decide to use Google directions only as a rough guide and make my way by feel. I set my alarm for 5:45. This should get me to the start on time, and if it looks like I won't make, I can always Uber. My alarm wakes me up and it's dark, I splash on my running gear, fill the hydropack with about 1200ml of water and set off through the city centre, across the road from the Iconic Raffles hotel. The city is asleep. Hardly a car to be seen. Just the way I like my running. Ignoring Google's persistent directions, I navigate by instinct. At 6:30 I take stock - will I get to the start on time? I make the call to keep running and press on. Eventually I enter part of East Coast Park, following the cyclists who are are headed there to make use of the cycle track. I even start encountering some other runners, getting up to feed their morning addiction. I feel the 25 centigrade temperature which, combined with the 88% humidity feels like a sauna to a Highveld boy like me. Eventually, at about 10 minutes before the 7am start, I encounter the now iconic parkrun flags! Made it with some recovery time to spare. 7.5 km's from the hotel. Nice. cyclists, and the anchored ships. I run their 34th event, and finish in 32 position in a 27:39 seat drenched time. It takes me a few minutes to recover to talking ability. In most of the parkruns I've run to date, a 32nd would make me a god, but there are only 9 runners coming in after me. The runners are just like parkrunners all over the world, keen to share and talk, mostly about running. After 15 minutes, I'm able to breath again, and, blowing off the offer of a post-run coffee, I set back on my way back to the hotel - my conference starts shortly and I need to get moving. About 2km from my hotel my hydro pack is sucked dry. According to my Endomondo track I should have had over 3 litres of water for what turns out to be just over a 20km run. What a great start to my Singapore conference week. The Energy Running revolution has taken a bold new step as adidas unveils the greatest running shoe ever, Ultra BOOST. Ultra BOOST features 20 percent more* BOOST cushioning material, the highest Energy Return cushioning in the running industry, and has eliminated the traditional EVA midsole for more direct contact to provide the ultimate expression of BOOST. Made of thousands of unique energy capsules, BOOST delivers a consistent performance over hundreds of kilometres, in virtually any condition. To complement the unrivalled Energy Return of BOOST, Ultra BOOST features an innovative update to adidas’ PRIMEKNIT technology built to reach new heights of comfort, support and style. The innovative PRIMEKNIT pattern of Ultra BOOST provides comfortable support in less expansive areas of the foot and adaptive stretch where it’s needed to deliver maximum comfort. One of the most advanced features of Ultra BOOST is the Stretch Web outsole that adapts and stretches to your foot strike and movement. The perforated elastic design harnesses and maximizes the Energy of BOOST without restricting any of its qualities. The unique appearance of the Stretch Web outsole is the perfect look to complement the eye-catching Energy capsules of BOOST. Ultra BOOST also features an entirely new heel construction that frees the natural movement of the Achilles tendon. A carefully tuned external heel counter comfortably cradles the foot and adapts to the high extension of the Achilles. A new featherweight sock liner adapts to the runner’s natural foot form, for a customized fit and feel. Ultra BOOST also boasts a new dual-density TORSION® SYSTEM, embedded into the shoe’s base. This allows more independent movement between heel and forefoot for superior stability and a smooth, more controlled run. Your greatest run ever awaits with Ultra BOOST. adidas Ultra BOOST will be available in adidas retail outlets and associated stockiest during the first week of March, at the recommended retail price of R2499. #boostYourRun with adidas Energy running by following @adidasZA on Twitter or Instagram. You can now join the Team Vitality movement! Get up to 25% or 50% cash back on registration entry fees for selected events, a premium Team Vitality starter pack with race gear, and vouchers worth over R1 000 for selected fitness devices. You’ll also earn Vitality fitness points for completing selected races on the Team Vitality race calendar. Not a Vitality member? Visit www.discovery.co.za or SMS “Vitality” to 48030 to join. Woodlands parkrun celebrated its 100th event on Saturday 28 February 2015. Participants were encouraged to wear black, which many did, whilst others added colour to this special occasion. Coinciding with the 100th running of the event, Derek McCarthy elected to run his 100th parkrun at Woodlands. This was Derek’s 47th run at Woodlands. He has run 32 parkruns at Delta, 9 at Bryanston, 2 at North Beach, 9 at various other Gauteng parkruns, and 1 at Castle Demense in Ireland! 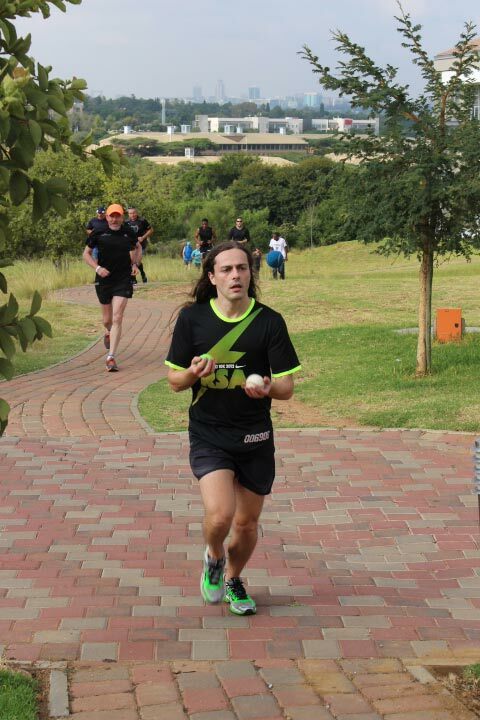 Gavin Levenstein chose to show us his talents besides running, and ran the entire 5km juggling three balls! Our sponsor adidas had their gazebo up, and runners were given the opportunity to test adidas footwear. Of course the 100th running of the event means that a 2nd birthday is around the corner, and Woodlands parkrun looks forward to more celebrations. I don't know his name, but a great sportsman!! Thanks to this young man my New PB is 35.03!!!! I need to find him next Saturday if I am to break the 35! His Words to me - you are old and unfit, I am young and unfit, we both have a chance, challenge me to the finishing line! I am a 49 year old male weighing in at 128kg! My doctor told me that if I continue my couch-potato lifestyle, I would not see 55! Being a very inactive Vitality member I decided enough is enough‎ and took up the Vitality challenge and joined a gym and registered for the Rondebosch parkrun! After some trepidation (fear of failure) I went to my first parkrun on Saturday the 14th Feb. I was amazed at the amount of normal people among the obvious athletic types and was motivated to do this thing! ‎Then it was on, but I soon realised how unfit I was as most runners and walkers started disappearing into the blue yonder! To make matters worse, before I reach the second bend on the course the lead runners passed me! An older gent passed me and said to keep it up. Well, I put my head down and soldiered on! I eventually completed the course in 54.8 minutes! The friendly volunteers made me feel very welcome at the end and I felt a sense of accomplishment! Needless to say I was stiff the next day, but I will be back next week!